From the very beginning our doors have been wide open to interested shoe lovers. We started out with a showroom in our office, but rapidly felt the need to expand. In December 2012 we took the plunge offline and into the city. Taking the risk paid off! 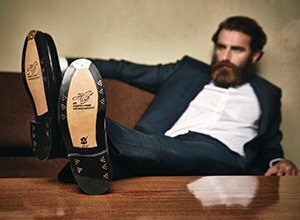 Visit our store in the heart of Germany’s capital and experience our collection of handcrafted, Goodyear-welted shoes in person. Take advantage of store-only offers such as one-of-a-kind models and reduced-price B-stock shoes. We also offer a premium shoe-repair service. Our professional sales team looks forward to greeting you!